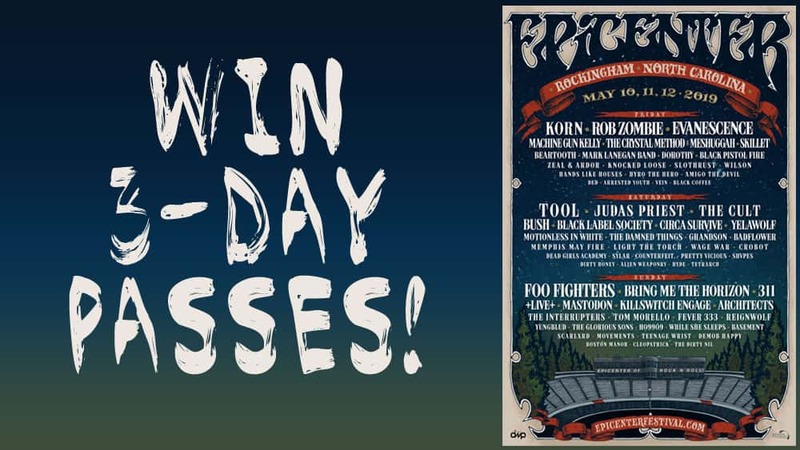 Win 3-Day Passes to EPICENTER! X 98.5 wants to send you and a friend to the Epicenter Festival happening May 10-12, 2019 at Rockingham Festival Grounds in Rockingham, NC! You can enter up to once per day, so keep coming back each day to enter your name to improve your chances of winning! Enter below and we’ll select a winner at random to receive 2 WRISTBANDS & EACH WRISTBAND IS A 3-DAY PASS. Good luck, and thanks for listening!